Disabled Veterans National Foundation, Inc., describes itself as a veterans charity that is working "tirelessly every day to help ensure that the men and women who served our country are getting the proper services they are entitled to . . . (such as) veterans benefits, counseling, and direct care." But it doesn't give us any idea how they're doing that. There is very little information on the web site other than a donation form and a few videos. The Better Business Bureau Wise Giving Alliance reports that DVNF did not provide the requested documentation to permit an analysis of whether the organization meets BBB's 20 standards for charity accountability. But that doesn't mean they're not pulling donations! GuideStar reports, based on IRS documents, that as of December 2008, DVNF had income of $7,784,935. Unfortunately, there are no details about how that money was spent, so we have e-mailed DVNF and asked them to provide us with their most recently filed Form 990 (tax return). Once we receive their response, we will update this page, so please bookmark the page and check back in a few days. Thank you for your interest in veterans charities. Despite passage of more than a month, we never received a response from Disabled Veterans National Foundation, and we think we know why! GuideStar.org has now posted DVNF's IRS Form 990 for the 2008 calendar year (their first year). We think it'll blow your socks off! Disabled Veterans National Foundation lists its state of legal domicile as Louisiana, although the web site lists a Washington, DC, post office box to request financial documents, and the CPA who prepared the tax return lists a New York City address. It is a tax-exempt 501(c)(3) organization. The tax return lists six officers, directors, and trustees, all female (perhaps all female veterans?). It indicates they each are unpaid volunteers, and each expends roughly 2 hours per week on DVNF business. That's a total of 12 hours per week devoted to this organization by all of them combined. "Identify issues of concern to veterans and to work with likeminded organizations to address those concerns through programmatic and outreach activities; work to improve the quality of life for America's disabled veterans and women veterans." Is that enough feel-good non-information gobbledy-gook for you? What exactly does it mean? In calendar year 2008, the brand-spanking-new Disabled Veterans National Foundation managed to rake in a whopping $7,784,935 in donations. That's an incredible amount of money for a brand-new, heretofore unheard-of organization, charitable or otherwise. How did it do that? Take a look at Cheryle's comment below. This is one person reporting that from this one organization, she received, unsolicited, a tee shirt, a shopping bag, and a calculator and planner set. Those are some expensive goodies! How did a brand new organization afford them? Simple. They hired a fundraising organization, which typically assumes the risk that the money they raise will be sufficient to pay their fees. How did that work out for DVNF? Take a look. You'll find it VERY interesting. But wait, you say, they only had $7,784,935 in income. That's right. They posted a net loss of $6,988,127 for the year. But when you take a closer look at those numbers and their allocation, you realize that not one dime actually went to provide services for any veterans! It was ALL basically PR, except for the legal expenses to set them up (and that number is not too far out of line for what it would cost to have a reputable law firm properly set up a 501(c)(3), according to our experience). How did DVNF explain their $5,130,673 in "program expenses"? They said it was used to "raise awareness of the concerns of veterans." In other words, PR (public relations). Part VII, Section B requires them to list the five highest-compensated independent contractors who received more than $100,000. It lists Quadriga Art, Inc., of NYC as receiving $11,267,366 for "printing and related services." Quadriga is the same company that did such a bang-up job for National Veterans Foundation. Unless DVNF's contract with Quadriga requires Quadriga to eat the loss, that means that DVNF started 2009 with more than $7.6 million of 2009's donations already mortgaged to Quadriga, almost as much as they raised in 2008. This is BY FAR the most egregious example we've seen in all the veterans charities we've reviewed to date, and we urge you to help us get the word out to stop any further donations to this group. You can do that by scrolling to the bottom of the page and clicking on the links there to post this information on Twitter, Facebook, etc. Or you can just e-mail a link to your friends, and ask them to do the same. In fact, we found it so unbelievable that we've uploaded the DVNF Form 990 for you to review yourself. Shame on you, ladies, and if you're veterans, even more shame on you for fleecing Americans out of more than $7.7 million intended to assist other veterans, and not spending one dime of it to do so. And if that $98,350 for "information technology" went to build your web site, YOU got fleeced! We could introduce you to a number of web designers who would have built you a site that looked just as good and actually ranked in the search engines for far less money. My mother, who is 83, and lives alone, has received phone calls from this group at 1:30 in the morning. They are persistent to the point of harassment, and I suspect I would have no satisfaction if I tried to contact them. Perhaps a U. S. Senator will listen to our plight. I'M RETURNING TO SENDER. IF IT DOESN'T GET BACK TO THE ORGANIZATION...THEN AFTER READING YOUR REPORT, IT'S O.K. WITH ME. Anon, you have no obligation to return unsolicited gifts received by mail. So save your postage, and just enjoy the calculator, or give it to someone else. The organization has already spent the money for it anyway. Recently received solicitation from DVNF, included in the kit was a calculator, etc. I have donated to DAV and American Legion for years. I had been donating to paralyzed Veterans but now realize they're on the F list....Thanks to this site, I'm able to ignore these scum bags. I received an envelope with a check, a caculator a diary and a calendar. How can this type of nonsense provide money for veterans? If this is a legal charity, what a terrible waste of advertising money. It is insulting to receive this type of solicitation. I have just started receiving donation request from DVNF last fall, and have sent about 4 times,(not a lot, $10 or $15 at a time). However, I do support DAV, and had a hunch that they may have gotten my info from them. (I don't think DAV sells the list, but in today's technology, it may be relatively easy). Thanks for sharing. We haven't yet had a chance to review DAV, but make sure you double-check their financials, too. Thank you for your service, and for your support of today's vets. The research that you have done here really shines the light on so many of these organizations and what is really going on. Many have responded "what can be done?" There have been stories and exposes on CNN, The Washington Post, but inaction by Congress and the IRS. Educating donors is first and foremost. Spreading the word to be careful and do your research when you donate. Exposing these "charitable" organizations for what they are and the coconut M&Ms they donate is important. Getting Congress or the IRS to ACT on these shameful, deceptive organizations. It is tough to keep the momentum going, but citizens need to take these issues up regularly with their representatives and senators. Lastly, how about these companies like Quadriga Art? They seem to be the root of the problem, the silent partner that goes unnoticed and does not respond. I almost think the best solution is to find the veterans in need in your community and find out what you can do to DIRECTLY help them. Maybe a bag of groceries? A ride to the doctor? Some help with home repairs. These may seem like small things, but compared to what these organizations actually DONATE, it actually looks pretty good. Thank you, Tom, for your kind words. You are absolutely correct - the best way to get the most money going to veterans assistance is to be educated before you donate, and make sure you are supporting ONLY those organizations that are being responsible stewards of your money. And continuously putting pressure on your individual Senators and Representatives for charity reform is the only way it will change. I also agree with your last comment - if you want to be sure your assistance actually benefits a veteran, find the veterans in need in your local area (I guarantee you there are some), and see what you can do to help. You won't get a tax deduction, but you will get the satisfaction of knowing that you made a difference in the life of someone so deserving of your gratitude. After donating several times, I decided to check this outfit out! Hoo, boy. Needless to say, I will not make any donations to them any more. For some interesting reading, go to DVNF Charitywatch.org. Thank you! Glad I looked before donating. I got a free calculator, I guess. I'll stick with Wounded Warriors going forward. Happy to help, Anon. Your post brings up an excellent point, so I just want to remind readers that you are under no obligation to pay for merchandise that arrives at your home unsolicited. If you're talking about the Wounded Warrior Project, you may want to read this page first. Anyone see the CNN piece on this group? Shocking. "As a result of several reports on Anderson Cooper 360° on the Disabled Veterans National Foundation (DVNF), the Senate Finance Committee has opened an investigation to explore how of $56 million dollars raised, none of that money has actually gone to help veterans groups directly." If you've been reading all the comments here about DVNF, you'll notice that CNN reached out to our readers for information in preparation of their report. Thank you for participating, to help bring more awareness to this issue. I applied for a grant to help me with rent, right after graduating college. They told me no, that they had no funds. They said that I could reapply in 90 days, but after seeing all that has been written about them, I can believe it. I needed rent money to help prevent me from becoming homeless, and apparently that was not good enough. I am not a veteran, but my Dad was a lifer. I understand the military way and I want to do all I can to help Vets. This DVNF organization will not see a dime from me. I did not ask for their "gifts", and I think this is a crass way of doing business. Trying to guilt people in to making donations is not the way to go. There are just so many groups out there asking for money, it is overwhelming. I have gotten down to where I only donate to USO and American Red Cross. I get some kind of request for a donation every day on average and it has become just too much to deal with. To all the Veterans out there....thank you for your service!!!! A coincidence or deliberately trying to confuse us? Today I received the package with the calculator, planner and pen, and like others initially thought it was from DAV to whom I have contributed to before. After researching a bit I will not be sending any money to them and will instead continue contributing to the DAV, the USO, and a local charity that helps with wounded soldiers and marines. Do not let this organization or anyone else trying to get your hard earned money lay a guilt trip on you. I'm a Korean vet, 53-55, and if you wish to donate to a worthy cause, how about wounded warriors! Max, you might want to read here about Wounded Warrior Project. When my calculator and planner came in the mail, at first glance thought it was from DAV and I try to donate to them each year, but after looking over the letter and logo I knew it was a new organization for me. I am glad I went on the internet to find out more about them and I certainly will exclude them from my donation list. I always wonder why it is necessary to send some form of "gimmick" to get you to donate and have said many times "why not give to the veterans whatever it cost?" This is a bummer organization in my opinion. I recently learned that the Paralyzed Veterans of America spent over $10,000,000 - yes, 10 million dollars on a NASCAR sponsorship. What a waste of money. I am outraged and we should all be furious. Congress or the media should investigate this. How is NASCAR a good use of its donors' money?! When I called Homer Towsend's office (I think he is the boss) to ask about this, he yelled at me to mind my own business and he slammed down the phone. The best thing you can do is spread the word far and wide and make their funds dry up. Have people make donations to a charity that will use the funds to assist our troops and their families. Another Rip Off Outfit ! Nothing good about their raising money and spending it all on advertising gifts. This is someone's idea of a joke it is not funny. Got notebook and calculator. Got first dun letter. Just came back from the grocery store and there was a table outside where a person was trying to get you to donate to the DVNF. I thought it looked fishy, and thanks to this website, I found out it was. Glad I checked before sending $$$ for their 'efforts' and guilt-producing gifts. Another vulture circling and profiting from the sickness of war. Someone in the VA should initiate legal proceedings against these fraudsters. I am tired of receiving the 'gifts' and want to be taken off the mailing list. Usually, I just put the package in the mailbox with 'Return to Sender', however our mailman said that it will just end up in the 'junk mail' pile and the message will never get to DVNF. So.... how's a person supposed to stop the waste? You may want to see our page about How to be Removed from Charity Mailing Lists. If you want to get your message to DVNF, you can e-mail Raegan Rivers, their Chief Administrative Officer, at rrivers (at) dvnf.org. It might be effective if a number of you would e-mail her and let her know how you feel about constantly receiving these unwanted, made-outside-America "gifts." I think many people are getting confused between this organization and Disabled American Veterans (DAV) which has a long history in this country. And I'm not sure that's accidental. Today I received the T Shirt and tote bag everyone else has mentioned, and read their literature. I got out my check book and was about to write a check to mail in a donation, but luckily had second thoughts and decided to do a little snooping. I am not of the age to claim I'm computer astute, but I have watched my son check this out on the internet and luckily found your website. I will not be sending a check to DVNF, but instead will send the money I was going to send to them to the DAV. We are regular contributors to DAV, so I'll just send a little extra next time. I refer to the tee shirt sent asking for donations. Why can`t you use AMERICAN made products? This tee was made in Mexico. This is a disgrace and will not get any money from this disabled Vet. I am so thrilled: I've just received as gifts a nifty t-shirt and a swell tote bag (prior "gifts" included a calculator and other valuables). While I've never donated money to any of these types of solicitations, I was curious about this one, hence my google which surfaced this blog. And now I'm disgusted for the same reasons many of you noted. Someone! Everyone! Take a curtain call! Bravo to all of you who participated in this forum - obviously you are a thinking bunch of folks. I'm going to wear the t-shirt happily, inasmuch as it's FREE. I'm not going to have my name removed from those "donor dredging" lists, rather I'll just keep receiving their goodies and recycle their paper. I CALLED THEIR "WASHINGTON" HEADQUARTERS TO BE TOLD THE "PRESIDENT COMES IN ONCE IN A WHILE....2 TO 3 TIMES A MONTH! ONLY 3 PEOPLE WORK OUT OF THE OFFICE; A PHONE ANSWERING GIRL, THE "PREZ" AND RIVERS, BY THE WAY NOT IN TODAY..OR TOMORROW OR..? IF OUR ELECTED OFFICIALS STOPPED THESE MONEY MILLS FROM EATING UP THE DONATIONS WITH EXPENSES, OUR VETS WOULD RECEIVE REAL BENEFIT FROM DONORS. I am a Vet . . my husband is a Vet . . .we pay our taxes & give charitable contributions to deserving organizations . . I am SO tired of getting "gifts" made in CHINA from DVNF . . maybe if they cut their overhead & put the money where it SHOULD go (to the Vets) . . they'd be in better shape!! Thank you for providing this fantastic site to give a warning to us vets before we hand over our money to an organization that gives little or nothing to the men and women who desperately need our help. Has anyone else ever noticed that the so called "gifts" were all made in China? What's up with that? Not for me. No more donations from me. 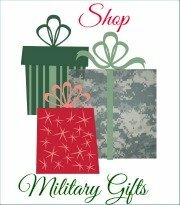 Perhaps someone should mention to DVNF that one way they could provide assistance to veterans is to buy goods produced by veteran-owned businesses, or buy handmade goods made by active duty and veterans' wives, and then give those goods to other veterans instead of to potential donors, who just become suspicious anyway when they receive those premium "guilt-gifts"! The salaried manager in Washington, DC, just hung up on me after I questioned her about what sort of actual help, money, donated food, clothing, or housing they send in tractor-trailers to help Vets, which refers to some of the info provided. I gave money once and continue to receive cheap gifts made in China from them seeking additional donations from me. I recommend that you do not donate to them. The org. is top heavy, paying salaries and maintaining an office in DC, not run entirely by volunteers as claimed. In addition, Ms. Rivers had a mocking tone when trying not to answer my questions about the org and actual types of support given to vets. Then she hung up on me. I believe they use the same ruse as some Native American aid charities benefitting largely themselves with the cash donated while sending tractor-trailers filled with used junk and surplus food to recipients. The tractor line is same used for those other charities I donated to that send cheap China made premiums to me for more money. Does anyone know where the stuff shipped in tractor trailers goes and comes from? HG, thanks for that update after your conversation with Ms. Rivers. We have not had an opportunity to verify this information, but we suspect that the tractor-trailer loads of goods DVNF is claiming credit for are actually in-kind goods donated from other charities to DVNF for distribution to veterans. When reviewing DVNF's tax returns, we noticed that in-kind goods were donated to DVNF by other groups, and we imagine they just passed through those goods. Wow, I had a package ready to go out, feeling like scum because I was going to have to ask for help. I'll not be sending anything now because we would not be getting help, only sending out personal information to an organization that helps no one but themselves. I think when I get where I can help, I will pick someone through a local chapter that I know will receive the help and not an organization that will mis-use the funds. Thanks anyway, guys, for trying to donate to what should have been a good cause. Maybe the local Veterans Associations can let you guys that are able to help someone know who can use the help. I know they will appreciate it. Editor's note: I moved the remainder of your post to our page titled, "Money Problems." Please contact me using the contact form and give me your e-mail address so I can contact you if someone responds to your request for assistance. If you'll let me know where you live, I might be able to make some suggestions for you. My elderly father (WWII vet) has been guilted into paying something for all these 'gifts' he keeps receiving from DVNF. How shameful for this illegitimate 'charity' to prey on their targeted mailing list of older people and especially other veterans!!! Disgusting. With no web presence, it is obvious they do not want to be contacted. I will be watching my father's mail like a hawk now and will stop him from ever giving another penny to such a despicable 'cause'. Spread the word. I also just received a calculator and planner in today's mail. I am sending it back with note to remove me from their list. I have made contributions to DVA and noticed their payable was DVNF and looked them up, glad I did. Thanks. Thanks to all of you for the info about DVNF. I received their gift package yesterday, felt guilty for receiving it (expensive stuff), and wanted to send a check, but decided to check it out before doing it. I just received the calculator gift today and thought I'd look up the charity..
Glad I did - I do contribute to veterans organizations and really don't need another one! I just received my fancy package from DVNF, with calculator, planner and pen. I immediately became suspicious and I, too, checked the web and found this site. Thank you for your investigation. At first I checked more familiar names like Disabled American Veterans. Luckily I noticed the name difference. I am tempted to send a nasty gram back to them rather than a check but why waste the $.44? I wouldn't trust Sean Hannity's organization either! DVNF is still at it . . . I just received a gift from DVNF. Got out the old check book to send them a donation but decided to check them out on a charity rating site. I could not find them listed, then I came across this, and man am I glad I did not send them a check. They can just shove their gifts. This is totally pathetic to hide behind our wonderful veterans to gain access to our money! I will send my money I was going to send to them to Sean Hannity's charity, where 100 percent goes to my heroes. We have not yet reviewed Sean Hannity's charity, so we can neither confirm nor deny the comment above. Do your own investigation before donating to any charity. I received an unsolicited gift of a calculator and daytimer. It came in a package that was made to resemble DAV's - to whom I contribute. After reading this web site information, I have no intention of giving them a donation. I'm glad I looked up the DVNF on your website. I just received the calc and calendar (I love the flat pen) and it made me suspicious. After reading your report, I tore up the donation envelope. It's sad when people will use a legitimate need for their own greed. Hats off to your investigative work. There are lots of comments here about whether or not this organization is doing good. I don't think that's the question we should be asking. Are they doing as good as they COULD? A group of female vets running the organization limits the scope of knowledge, but they probably still have good intentions. I made some phone calls to my friends at the DAV and VA to find out who this "Raegan Rivers" is that posted above and found out that she's a pretty face hired because of her dad's connections within the vet world. My sources tell me that she doesn't have a background in running a business or in fundraising and is completely clueless and does what her fundraising company (I assume that's Quadriga Art mentioned above) tells her to. That's probably why the organization is getting screwed by these fundraising businesses. An article by the American Institute of Philanthropy shows she doesn't even know what she's talking about with her own Vendors! I challenge DVNF to tell us the qualifications of the people they have running this organization. Are they making good decisions for how to raise funds? Are they making good decisions for how to spend funds? How much is this director getting paid and how much are the CEO's of these fundraising companies getting paid? And what does this fundraising business do (because the fundraising business IS a business, not a nonprofit). I found it amusing that they had a professional write an evaluation of their fundraising efforts but they aren't having someone who is a fundraising expert on their staff. I got the free gifts back in November, like everyone else on this site, and sent money out of guilt, wondering the whole time how they could afford to send these items. Along with the small check, I wrote a letter asking not to be sent any more items and stating how disappointed I was that the gifts were made in China instead of America. Today I received a blanket with an American Flag that has 29 stars on it (but no tags stating made in China). I came to the computer to look up the company to see if I could send another comment expressing my dissatisfaction with these "free" goods. I am so glad I found this site. Thank you, we patriotic Americans feel strongly about our flag and our veterans. I won't feel guilty when I don't send money to defray the cost of these items. Jane, thank you for writing. Your are under no legal obligation to pay for merchandise received by mail which you did not order. You may also want to read our information about How to be Removed from Charity Mailing Lists. Caught one of these fellas at our local Publix in New Smyrna Beach,Fl. He was right at the front door with his flags, cards, etc. He was in a desert uniform with patches in wrong place, etc. I asked him about his organization and he mumbled that he was legal. I told him I had never heard of his org. I took a card and said I needed to make a phone call - I walked into the store bought some milk and bread - came out - he was GONE!!! I informed our commander at our post and warned Publix and the police. We need these people(?) in JAIL. Thanks, Doc, for taking the time to share your story. This is the first instance we've heard of anyone doing in-person solicitation on behalf of DVNF, so I'm wondering if perhaps this was just some opportunist planning to pocket any "donations," instead of someone actually representing DVNF. We invite DVNF to respond, and let us know if they're now soliciting in person in addition to their direct mail campaign. I get some little gift from DVNF about every month. I have never contributed nor will I. Yet the T-shirts, key chains, pens, etc. keep coming. So I ask myself why, and how can they keep sending stuff to people who do not want it and do not donate. Clearly, the marketing effort is to make the recipient feel guilty about keeping an unsolicited gift that he doesn't need or even want. Yesterday's mail contained a "membership renewal" with a key chain, a pen, a calendar, and some 'patriotic' return address labels. Not only will I will NOT "renew" my membership, I have never been a member! Why costly gifts to potential donors? I many times get address labels, dimes, and small goodies from fund raisers soliciting charitable donations. It always raises doubts in my mind about the honesty of fund raisers. DVNF topped them all. They sent a calculator, pen and personalized event planner with a cover letter which says they get lots of donation in response to these gifts. It suggests that DVNF is playing games with the veterans on one side and donors on the other side. My initial thought was...why do they have to spend so much money to raise funds for vets? I believe it's all done to put a guilt trip on people. They assume you'll feel bad if you don't send money to help pay for what you've received. I opened the package and was totally surprised to find a calculator and planner. My immediate thought was to send a donation. Instead I decided to go to the internet and I found this site. Thanks for the information...I changed my mind. No donation. But I think I'll use the calculator. I received in the mail today a marketing pkg from Disabled Veterans Nat'l Foundation. Addressed to my wife, who's first name is Darlene. The Pkg was addressed to "Darling". Hm. This Pkg barely fit in my mailbox. Full color stock image on on sides of the American Eagle, etc. Inside "our gifts" (Postage labels, calendar, our official membership card..and on and on).Wash.,DC address with letter to Darling from CEO, P. Wilkewitz. When I see marketing like this I always look the charity up and I thank for your diligence and work here to expose this. This is the kind of crap our newly elected Congress should go after NOW. I'm contacting my Representatives and Senators today to put a stop to this and am writing a letter to Ms. Wilkewitz on behalf of me and my Darling. I am a vet and received a package from DVNF that includes a 2011 planner, pen, and calculator. My wife and I decided to check out this organization that keeps sending unsolicited gifts to us. We are outraged to find from your information that the donations do not go to the disabled vets. We will be asking for our names to be removed from their list and be more careful where we send our money in the future. Thanks. Are they legal? Are you sure? For years, my wife and I have been getting unsolicited stuff from this organization, even though we send them nothing. It seems obvious they have found a way to make money for themselves, by using veterans and preying on the gullibility of Americans. Is it not likely that if their statements and their operation were investigated by, say, the IRS, there would be enough deception found to justify an indictment and then a prosecution? Anyway, kudos to THIS web site for exposing the rascals! Robert, thank you for your kind words. The information we obtained about DVNF came directly from the tax returns they submitted to the IRS. Unfortunately, in order to satisfy the IRS requirements for a charitable organization, a group can give as little as 5% (and in many cases, less) of its revenue to it charitable cause. We believe these rules need to be revised to tighten up the percentage of revenue that must go to the cause before an organization can be granted charitable status. So, for those of you who are outraged at the abuse of the system (whether by the organization or by its greedy 3rd-party fundraiser), please write your Congressional representatives and demand that they revise the tax laws with regard to qualification as a charitable organization. Great to know this information. I donated the first time I recieved the request. Then I recieved a free gift asking for another donation. This time I checked their rating and found out the truth. I will keep their "free" gift and throw out the donation card. On Sept 21-2010, Todd wrote that his organization had shipped over 600,000 lbs or 300,000 tons, of goods from DVNF by tractor/trailer, stating this was over 24 loads. Most trucks can only haul 22/24 ton loads legally. This means that 12,500 loads @ 25 tons per load or 13,636 loads @ 22 tons per load would be required to move that much freight. Somewhere Todd's math went wrong or his comments are B.S. I check out where to send my money to and these guys will NOT get mine. Hi Ed, thanks for your comments. When we did the math, 600,000 lbs divided by 24 loads would require 25,000 lbs per load. Since Todd said the 24 loads were more than 600,000 lbs, maybe that's a bit of an exaggeration, maybe not. If you divide 600,000 lbs by 2,000 lbs (1 ton), the result is 300 tons. I am a disabled Vietnam veteran. My 87-year-old mom just received a blanket (throw) in the mail from a so-called veterans group. I told her not to send a check, unless she absolutely knows who the people are behind these so-called charities. I explained they play on guilt and she would be deluged with requests and "gifts" if she responded. It was a piece of crud anyway. Simple advice, if you wish to donate, give to legitimate, established veterans organizations whose track record of assisting veterans is well-established. Be sure to do your research before donating to any organization. I am a Veteran (retired Sergeant Major). I take great offense that the Disabled Veterans National Foundation would silicate from the public for their own personal gain. This manipulation is a disgrace to the men & women that served. Sergeant Major, thank you for your service. The DVNF is not receiving the benefits here -- the money is going to an obviously greedy independent third-party fundraiser! The Board members of DVNF are all veterans, who serve without pay, according to their web site and their tax returns. DVNF officials attempted to justify their despicable fundraising practices by pointing to the 1.2 million donors they acquired courtesy of Quadriga's multimillion dollar direct mail campaigns. What they failed to mention is that they sell the personal information of those 1.2 million donors through an outfit called Trilogy Target Marketing. Veterans National Foundation, another Quadriga client, markets their list there too. Looking through the data cards on Trilogy Target's website, one can see that many other questionable veterans and other charities rent the lists for their own mailings and high pressure telemarketing. It's not easy to get off these lucrative lists, but I would encourage people to complain loudly and let these scammers know that you will try and have them investigated and exposed in the media if they continue to victimize their generous, duped donors. Pulling on the kind heart strings of Americans, could they be sending $$ millions to the Terrorists groups. Think about it, what a way to make a bundle of money. As they would say, "Off with their heads". GOD BLESS AMERICA AND THE TROOPS. MJ, the Board of DVNF is comprised of all female veterans, so the likelihood of them funding terrorist activities is extremely low. We think they are well-intentioned, but have made some unwise decisions with regard to their fund-raising methods. I found the planner and flat pen to be very handy and would like to get one for 2011-2012 does anyone know where I can get one? Dave, if you donated after receiving last year's planner, we're pretty sure you can count on getting another one! We recently received a calculator and planner from the DVNF, and although we rarely give money to organizations that send us unsolicited items, we decided to do some research and found your website. Initially it appeared as though it was all a scam, but after reading through everyone's comments to date and looking at the DVNF website I think they are indeed doing some good things for veterans (as evidenced by some of the comments above and testimonials on their site) but not in proportion to what they spend on contracting out their fundraising. Nor do I think their good intentions are well represented by a fundraising strategy that adopts the guilt trip method of sending unsolicited goods - which is also a strategy that raises serious questions about where the funds are being spent. So where DO we send our modest contributions to help disabled vets??? I work for Veterans - I understand what it takes to undergo such an outstanding service for Veterans. You must spend money to make money. DVNF's startup was costly but if some people would TAKE THE TIME to look past the price they are seeing and just review all the facts.. you will note that Disabled Veterans (mentally or physically) are being given assistance they desperately need. Judge DVNF by the donations they have given, not by reports you've read from such media as CNN!! I know this holiday season there are disabled veterans and their families who will recieve gifts from DVNF and they will be thankful. I recommend everyone to check out the DVNF website itself... www.dvnf.org. I admire the individuals who decided to speak up for Veterans. Victoria, we appreciate your joining our conversation. We think perhaps it would be a good idea for you to take your own advice, and take the time to really look at the facts that are presented on DVNF's tax return, without the benefit of your rosy-tinted glasses. Personally, we haven't seen or read any report from CNN. Our comments are based strictly on facts reported to the IRS by DVNF itself. That tells us that they fleeced hard-working Americans, in this dismal economy, out of almost $8 million (the amended 2008 return on their web site, dated April 2010 shows more than $10 million) in the name of our veterans, yet paid it to a 3rd-party, for-profit fundraising organization instead of using it to benefit our vets. And they incurred additional debt to the 3rd-party fundraiser of more than $6 million in 2008, so that future donations will also go to the fundraiser instead of veterans. DVNF has now posted their 2009 Form 990 on their site, and we're sad to say it reports donations in their second year of more than $21 million that the public intended to be used for veterans. That means in 2 years, in the worst economic crisis in decades, DVNF has bilked Americans out of more than $31 million in the name of our veterans, yet has passed through the vast majority of it to 3rd party for-profit organizations that provide their marketing and fundraising activities. For 2009, DVNF reports total expenses of $22,790,970. Of that amount, $19,661,722 went for "direct mail" (marketing and fundraising) and professional fundraising. And their liabilities (to their fundraiser?) increased from $8.4 million to $11 million in 2009. Maybe DVNF is doing some good things for veterans, but with more responsible fundraising and fiscal management, they could be doing much, much more. They still come off looking like a scam, and we'll continue to make the facts known to those people who care to look them up. I just received the standard package of calculator, planner, and pen that doesn't work. I must be on mailing lists galore, because this is the FIFTH identical calculator that I've received - all from organizations that I have never dealt with before. When I don't return a donation, I always get a followup letter asking if I've received the package - and asking again for a donation. I have also received FOURTEEN packages of Christmas cards, wrapping paper, ribbon, labels, etc. in addition to a variety of "fleece" throws, T-shirts, totes, etc. After looking at DVNF's IRS filing, I won't be sending them any money to continue to facilitate their sending out more calculators. They do list the donations of goods to groups, but they account for a tiny fraction of their income and direct mail costs. Our household also received the glossy envelope with calculator and address book. You can email this phony "charity" at info@dvnf.org. I don't want to receive anything from them again. I got a big, glossy envelope from Disabled Veterans National Foundation, with a personalized planner book and a pretty decent looking calculator, and thought "What the heck!? Is this some sort of fundraising scam?" From the comments here, it seems that it is. Thanks for this site, and for confirming my reluctance to donate to this outfit. hey, I apologize for the problems with our blog site -- we are having issues with the computers,as they say. I am repeating the warning in my column in our print newspaper this weekend, which is probably more useful anyway since most older veterans, and older folk who like to help vets, read newspapers rather than the internet anyway. Hi Charles, thanks for letting us know. And you're right, of course, that the print version is likely to reach more of our older generation. As an ex-navy vet I think this organization sure does a disservice to the veteran. Is it legal to have this group handed over to some real disabled vets and taken to the firing range for some practice? don't take the time to check you out. There are plenty of local veterans-assisting programs in every city that can use our help, there is is no need to give to questionable organizations. This organization has pestered me with unsolicited gifts for quite a while. My suggestion, keep the t-shirts, blankets, umbrellas, etc., and send nothing back. I feel that any organization that relies on guilt rather than a sense of compassion or duty means that they cannot make a convincing case for their cause. Just fyi -- I write a column and blog for the Standard-Examiner in Ogden, Utah. Today I got one of those calculators and planners in the mail from DVNF. I decided to check the group, and found your excellent work, my job already done. Charlie, thank you for those kind words, and for linking to our report on DVNF. We hope to spread the word far and wide. In fact, we hope Quadriga Art ends up having to eat the expensive fundraising "gifts" because donations dry up. Unfortunately, that's unlikely to happen, because there are just too many people who will donate $20 or so without bothering to check out the group first. Which means the millions they guilt people out of will just go into Quadriga's coffers. But we're doing our part. Thanks for your assist. One favor? In your blog, would you correct the site name, please? 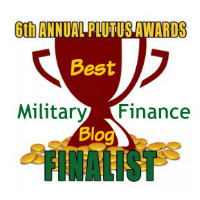 It's Military-Money-Matters.com. Thanks so much. Also, I haven't made your link live, because it gives me a 404 "not found" error. Every internal link I followed on the site trying to get to your blog gave me the same error. Other internal links worked, just not the ones leading to your blog, including from the search results page. I did manage to find your blog, but it took a bit of work. Thanks for the information. I received the (cheapo) calculator, pen, calender, etc..
Won't be sending a dime (but will keep the items). Phil, you are legally entitled to keep any unsolicited merchandise you receive by mail, without obligation to pay for it. Enjoy. Eugene, DVNF has a 5-year contract with their fundraiser, so this will continue at least until that contract expires. DVNF has defended this type of fundraising as efficient, because it helped them build a huge list of donors. We predict that when donors discover what DVNF is doing with their money, that list will shrink dramatically. If you'd like to be removed from charity mailing lists, follow the link for instructions. I received the packet of calculator, planner and pen today. Was surprised as I had never heard of this organization. So like I always do when asked for donations from an organization I'm not familiar with, I came to check them out. Glad I did. As a Vet myself, I'm appalled at these charities that keep sending out stuff and paying exorbitant fees to advertise their good intentions. There are many other ways to help Vets other than these methods. Most of the money of a lot of so-called charities goes to the people running the charities anyway. We have a very good VA Domicillary where I live. Also many other organizations in the area that help out. So, I will keep my donations local where I know they're doing some good. My aunt died this past July. She was a WWII Navy Veteran. I continue to receive dozens of solicitations from various organizations. Yesterday, I received a calculator and 2011 planner with her name on them. As I looked over the paperwork and donation request, I thought, I guess I could send them a donation. Maybe this was one of the charities she supported and, by golly, they did send her a calculator. So I went on line to see how I could donate on line, since I am not much for mailing checks. I immediately noticed that I could have mistaken their name for a few other charities, so looked closer. Found their website but did not think it was very informative. So I went back to my google search and found this information. THANK YOU SO MUCH FOR DOING THE WORK YOU DO. I would have been very upset if I had sent the money and found out later that not a penny went to a vet. I have saved the Charity Navigator to my favorites and will use it in the future. Again, thanks for the save!! Kate, thank you for those kind words. We appreciate that people want to help our veterans, and we feel they should have easier access to information about what the charities do with their money. You might want to take a look at this page about how to be removed from charity mailing lits. You could send the letter we suggest there, or you could simply take the unopened mail from these groups addressed to your aunt, "X" out her name and address, and write "Return to Sender - Deceased" on the envelope and put it back in the mail. Either method should stop further solicitations. Received the calculator, planner and pen today. Before ever sending in a donation to a charity or anyone else that I don't recognize, I always check them out. Sure glad I came to this site to do it this time. I'm turning this one over to my congressman. I'm a veteran and I sure hate to see anyone exploit a situation and play on one's sympathy in order to dupe people into donating to a phony charity. Received through USPS a package containing a calculator, pen and note book which must have cost a pretty penny to gather and ship. But then wanting a donation to be sent back. Whatever I would have sent would have been used to defray the cost of that package, and there would have been NO money used for any type of service for the disabled veteran. Total waste!!!! What would seem more reliable than an organization for disabled war veterans? ANOTHER DISGUSTING RIPOFF!!!!!!! We've given in the past but never again. I was drawn to communicate with this group to register a complaint that the pocket calendar/planner did not have Jewish Holy days listed. That's the least of the offenses! these are all $50,000,000 + per year organzations. in fact about 17 out of 34 veterans groups were rated either a D or an F.
this tells me that the ratings guide must be off base. as a former vet, i can tell you that the groups above are excellent organizations doing their best to help look after vets and because they get an F we all are supposed to think poorly about them. this whole debate is just silly. if donors dont like the premium's they are getting or the charity that they are from--they do not have to give to it. its that simple. i got a dvnf tee shirt and i actually like it and wear it to help honor my country. i am actually disappointed in this site. Thanks for joining our conversation. We're glad you found our veterans charities reviews, and we hope you'll read them, to educate yourself about this debate. The donors who intend for their hard-earned dollars to be used to help our vets don?t think it silly. It seems you jumped into the middle of something without doing your homework. After reading this statement, "the groups above are excellent organizations doing their best to help look after vets," and seeing HHV on your list, we're sure of it. Please take the time to read about Help Hospitalized Veterans and its sister organization, Coalition to Support America's Heroes. They are two of the biggest examples of "veterans charities" that do very little to help our veterans while lining the pockets of their founder, Roger Chapin. Mr. Chapin was subpoenaed by Congress to explain the financial shenanigans of his organizations. AIP's veterans charity ratings were provided to Congress in December 2007, for a Congressional investigation into veterans charities. AIP's President explained their ratings system, and why some veterans charities that enjoy excellent reputations are not very financially efficient with donated funds. You've missed the point of this conversation. The debate is not whether to support our nation's veterans. It is how to get veterans charities to understand that donors want their money used to help our veterans, not pay exorbitant fundraising costs. And our readers feel pretty strongly about it. Feel free to click through our charity reviews and read our readers' comments. I am the Vice President and part owner of a logistics company that has worked on shipping and logistics for DVNF and although I cannot speak to most of what is mentioned in this article, I can at least present information related to the issue of whether or not DVNF is helping veterans. In the past 10 months DVNF has moved over 24 tractor loads of freight. Included in these loads are 345 skids weighing over 600,000 lbs of donated items. We have delivered these goods to Tennessee, Alabama, Massachusetts, Nevada, Florida, California, Pennsylvania, Texas, Arizona and Virginia. In terms of helping veterans. it seems to me like they are doing quite a bit of good. Thank you, Todd, for providing this information for our readers. As we mentioned to Bob on Saturday, we're happy to hear that at least some of the money donated to DVNF is actually providing assistance to our nation's veterans. At least that's encouraging, but I don't think donors will be quick to forgive DVNF for racking up millions of dollars in debts to fundraisers that will have to be repaid with donated funds intended for our veterans. I predict their massive donor list acquired in the first year through the use of expensive premium gifts will shrink dramatically as the truth becomes known about their expenditures. I'm afraid they will find that such a fundraising plan, which may make sense in a boardroom vacuum, doesn't play well with American donors who want their money to go to the veterans, not to a for-profit fundraising company. In fact, if the word is spread far enough, there may not even be enough donations in future years for DVNF to repay its fundraising debt. And it's sad, because every charity engaging in this type of conduct makes it even more difficult to raise money for the charities who are using large percentages of their donations for their stated purpose. It hurts all charities, unfortunately. Have you ever stopped to wonder why these fundraising vendors send these gifts? I think it's because American's have to be convinced (by in large) to part with their precious money for a good cause such as caring for our veterans. If people were more willing to donate then these fundraising companies wouldn't have to invent these expensive ways to convince/guilt people into giving. Think about it - businesses in America do what works and is profitable... if people were more generous then fundraisers would be out of business. I say lets address the real issue - donors. Fundraising companies are simply a reaction the lack of generosity among the American people. Wow. Your comments are so far offbase, it's hard to know where to begin. Clearly, your opinion is not based on research. It could be a classic example of projectionism, that is, projecting your own traits onto others. Or it could be simply an attempt to divert attention from the real problem here by slinging mud at someone else. Either way, had you done even minimal research, you would have discovered that Americans have historically been the most generous population on the planet. In fact, those with lower incomes traditionally give more on a percentage basis than those in higher income brackets. But you are right about one thing, "businesses in America do what works and is profitable." And that's exactly what our donors are objecting to -- the fact that third-party, for-profit companies are raking in money hand-over-fist that was intended by the donors to be used by the charity for charitable purposes. The problem here isn't stinginess of donors, it's the greed of the for-profit fundraisers. The primary fault of the donor is in not doing more research into the charity before giving, and we're doing everything we can to help educate them about what is being done with their money. I got a PVA address label, an American Legion address label and a Wounded Warrior mail package full of Xmas cards. Can you forward this to CNN for me? It seems that many Veterans groups are in the business of sending these kinds of packages, so i am not sure what the "issue" is. Hi Jim, thanks for your comments. You are correct, many charity groups, veterans charities and others, use address labels and cards as "premiums." But DVNF made a big splash on the scene by coming out with noticeably more "expensive" premiums such as calculator & planner sets, tee shirts, and tote bags. Potential donors recognized that these weren't your average "return address label" type "gifts," and wanted to know how much of their money was actually going to veterans. You've seen the information from their tax return, and the feelings of potential donors about these "expensive" gifts. We think that's what CNN wants to know about. It seems to me that too many Veterans organizations get poor grades (d's or f's) from the Charity Watch groups. Is their something wrong with their business model? or is the standards that are used to measure them unreasonable? It is hard to believe that CNN is interested in mugs and blankets when there are over 400,000 homeless vets in America today. Something seems off to me. Danny, thanks for your comments. See this page for an explanation of the veterans charities ratings that were issued by AIP in 2007. There are different reasons for poor ratings, but veterans charities seem to be more likely than other charities to have inefficient fundraising models, turning more often to third-party for-profit fundraisers who keep a large percentage of the funds raised. The CNN producer wanted to talk to people who have received the premium "gifts" from DVNF to interview them for a story CNN is doing on veterans charities. If you've received these gifts from DVNF or other veterans charities, please contact them. I cannot speak to all the things that are posted here, BUT, I can outline my organization's relationship with DVNF. I am the Director of Operations of the New England Center for Homeless Veterans, our website is www.nechv.org. PLEASE SEE OUR WEBSITE. We have and continue to provide services to over 14,000 resident and non-resident Clients, all honorably discharged Veterans who have become homeless. We (NECHV) have been the recipient of hundreds of thousands of dollars, possibly over a million, of in kind goods from DVNF since January 2009 and are actually expecting another tractor-trailer truck in food stuffs, medical supplies, clothing, etc... Monday morning 20 September 2010. We, Staff and Clients, are more than appreciative of the support shown us by DVNF. Ms. Rivers, of DVNF, conducted a site visit earlier this month to see our Operation and get a better understanding of how her organization can assist homeless Veterans. I wish I had heard of this article/blog... earlier so NECHV could have posted these facts in a more timely manner. Bob, thank you for taking the time to post this information about DVNF for our readers. As we said to VvfV, we strive to provide accurate information for our readers to use in their veterans charity donation decisions. We're very pleased to hear that at least some of the donations to DVNF are actually finding their way to assist veterans, and we applaud your work to assist our homeless veterans. We're a bit surprised that you don't know the value of the goods you've received from DVNF - aren't you required to report that on your own tax return? Perhaps DVNF would provide that information for you. If you've read our review and all the comments here, you know that we e-mailed DVNF requesting clarification of their financial information, yet we never received a response. And despite posting here twice, Ms. Rivers still did not answer the questions we asked her about their financial arrangements with their fundraiser. Our readers haven't missed that. Thank you again for taking the time to post this information. We invite you to post again after you receive your shipment on Monday. One thing I've learned in life is to confirm my own facts. I know as Coordinator for a non-profit helping homeless vets, budgets are a nightmare. So, start up, in-kind figures, etc... become a crash course in a second language. I have been contacted by DVNF to receive a semi truck load of supplies for my veterans. Let me repeat, I was contacted by them... I've received the inventory listing. Granted I have not received the inventory, but that is our own fault. However, they have stayed in contact with me, our warehouse manager and been very polite to deal with. I am a volunteer in this position and my dream would be 12 hours a week... hell, often times 12 hours a day would be a dream. During phone conversations with their representative, I've heard an infant in the background, so I know these women are multi-tasking to get their mission accomplished. There is some concern after reading all the comments on this site, and no one is singing yet as the shipment has not been received (as stated due to our volunteer's schedule), but it is scheduled and they have taken all the tasking for this to be accomplished. We've had to do nothing. Their agreement is very simple to understand and their follow up report is a breeze. Please, don't discredit until you check you FULLY check your resources. Our organization is 100% volunteer operated, all our proceeds go to our veterans, and we help over 1500 homeless veterans in our metro area each year. We've been doing this for over 17 years now with our Stand Downs. DVNF, if they are legit, just made our jobs MUCH easier. I'll let you know if there is singing. If all I had to do was purchase a blanket or coffee mug for our veterans to receive such gifts... sign me up (again). Thank you for reporting this information. Please do keep us informed as the situation develops. We strive to provide the truth so our readers can make an informed decision. However, the facts set forth in the tax returns for DVNF provide some very damning information, and you can see the reactions of readers to learning that millions they thought was going to help veterans is actually going into the pockets of for-profit fundraisers. That's what they're objecting to, and rightfully so. I am a producer for CNN and we are researching a taped segment on veterans charities and in particular the DVNF. Please email me at: david.fitzpatrick@turner.com--especially folks who have received so-called "premiums" such as calculators, coffee mugs, etc. As a Korean Vet, I'm always willing to contribute to Veterans Charities. When I received this free "Tote", from a totally new Veterans Charity, I immediately tried to find out who they are. Thanks for the information on this site. DVNF does NOT qualify for a contribution from me, they're another flim-flam outfit milking the public under the guise of "Helping Vets". I tossed their request in the trash, along with their Free Tote! Thank you for your service to our country, and for your diligence in researching veterans charities before making your donations. Fundraising today is not an easy thing to do. Charities, especially new ones, need to do SOMETHING to build a base of donors. If you look at ANY charity of size, they go negative to ACQUIRE a donor. Once that relationship is established, the ongoing donations support the charities' mission. It's easy to question and insult those trying to do what is necessary to build something from nothing...but the fact is, it takes years to build a charity...and if you don't do what DVNF is doing, it takes decades. Many military charities have been around for over 50 years. And many more have sprung up since 9/11. The comments on this page have been made by people who are not fundraisers or executive directors of a charity...they are normal people with normal jobs who are hyper-critical of something they know little about. I'm certain that the people at DVNF have better things to do than defend their marketing methods on some blog. Just a thought. First you slam us for "insult[ing] those trying to do what is necessary to build something from nothing," and then you insult us. Should we thank you for calling us "normal?" Yes, we are unapologetically critical of DVNF for its expensive fund-raising methods, which generate relatively little assistance for veterans. Potential donors resent the type of expensive fundraising being done by DVNF, and believe it to be deceitful. Once DVNF's donors find out where their money really went, that huge donor base will likely shrink dramatically. If you doubt that, read the various comments from our readers (potential donors) about other veterans charities. We like to think our experience as a uniformed military attorney gives us some insight into the needs of service members, veterans and their families, since we assisted them on a daily basis during our tour in legal assistance. We have also done a considerable amount of research into charitable organizations, and have been involved with veterans charitable organizations. Our comments are based on DVNF's tax return. In today's economy, it is even more important for veterans charities to stop fleecing hard-working Americans in the name of our veterans, while providing relatively little of the donated funds to assist those veterans. That makes Americans less likely to donate to any veterans charity that solicits them. Not all fundraisers are completely truthful. So we provide objective information from the organizations' tax returns to give our readers more accurate information than that provided in solicitation letters and calls. "I'm certain that the people at DVNF have better things to do than defend their marketing methods on some blog. Just a thought." Thanks for sharing your thoughts. Unfortunately for DVNF, this is not "some blog" whose entries will roll off the bottom into oblivion. This web site has more than 800 pages, roughly half submitted by engaged readers. Thank you for posting my response and visiting our website to obtain correct facts/financial information (incorrect 990 posted on your site). **The 990 we posted was provided to GuideStar by the IRS. DVNF has posted an unsigned, amended 2008 Form 990 on their site. Our comments are based on the filed 990 provided by the IRS. We are currently completing our 2009 audit and when available it will also be posted on the DVNF website. In reference to "greedy fundraisers", this is simply not the case. The majority of our mail costs are lists, postage, and paper. Our Board reviews our mail program quarterly and approved the 7-year mail plan. Our plan is on track and over the next 5 years we will pay off our debt. When this foundation was formed we had no start-up money; however, our chosen vendor believed in the DVNF mission and agreed to carry all the liability related to cost. Through our aggressive mail plan we have built a national donor base of more than 1.2 million donors. The value of this donor base in the out years far exceeds the total investment in the start-up phase of our fund raising program. This strong donor base means for many years to come we will be one of the largest veterans group and will have the resources to help veterans and families who need and deserve our help. We invite your readers to visit our website under "fundraising" and view Professor Rich Steinberg?s report on our mail plan. He is one of the industries top researchers on the economics of fundraising. He has reviewed our 7-year mail plan and has issued a strong report validating our decision. I invite everyone to read his amazing credentials and his expert opinion. While annually paying down our debt we are also increasing our services to America?s disabled and needy veterans. I thank all of our donors who have helped us along the way as we work to fulfill our mission. As the fastest growing veterans organization we are proud to have provided to date more than $4 million in goods and services and touched the lives of over 40,000 veterans across America. Not bad for an organization that is barely 3 years old! Our Board of Directors, veterans all, truly understand the obstacles faced by today?s veterans ? and we are doing what we can to help today and will do more as we grow. Our veterans have fought to keep America "the land of the free" don?t you think they deserve an organization like DVNF? I do. **No, we think they deserve an organization that actually uses the money donated to assist them. I stand by DVNF, the mission, and our mail plan. Thank you again for allowing DVNF to voice our facts on your site. I am free during normal business hours (9:30am-5:00pm) to discuss any additional questions or concerns. Our office number is 202-737-0522. Thank you and god bless the men and women who fight for our freedom. I would like to invite everyone to visit our new, updated Disabled Veterans National Foundation website. Our new website showcases some of the many good works we are doing for America's veterans and detailed information about DVNF. Additionally, on our new website we have posted our financial information. If anyone has questions regarding DVNF, please feel free to contact our DC office during normal business hours. Thank you for taking the time to post that information for our readers. We commend you for posting your financial information online, and for the explanation on the site as to why you chose to use the fundraising premiums (or "gifts") you did. We understand the reasoning behind a big push in Year 1 to get your organization "on the radar," so to speak, but I hope we'll see more of your donations used to provide actual veterans assistance, and less paid to greedy private fundraisers. We hope you'll help our readers understand the numbers they see on your Form 990. Would you clarify our understanding that the prior year's deficit has to be made up from the current year's income? In other words, you "owe" the fundraiser the amount of the deficit resulting from 2008 donations that are less than the amount owed to the fundraiser, and that amount ($6+ million), as well as the current year's fundraising expenses ($16+ million, if the same as last year), must be paid before you get dime one to use for your charitable purposes. Is that correct? We want to make sure we're correctly representing the facts, so we'd appreciate your clarification so our readers can make an informed decision. I just received the calculator set from DVNF. Great, but do why they spend the money on that, rather than helping a veteran. I am so thankful I decided to look up information about "Disabled Veterans National Foundation, Inc." Get rid of them. How much does DVNF provide to vets? I received an unsolicited tee shirt, a shopping bag and now a calculator and planner set. I would like to know how much they actually contribute to our veterans? It seems to me that a great deal is spent on funding. Boy, you're not kidding, Cheryle. We've updated our report above to include the information we found, which will answer your question. The short answer is not much! See the details above. Thanks for letting us know how DVNF managed to rack up such expensive fundraising. Why don't you provide an accounting of how donations are spent? I will no longer send donations to your organization until you give a breakdown of what percentages actually go to veterans,how much for promotion, salaries for heads of your Disabled Veterans National Foundation and a complete accounting of all other remaining donation amounts. Let's hear the details of your so-called "helping hand." Refusing to provide the documents makes it look like you have something to hide. If you don't, "show us the money!"